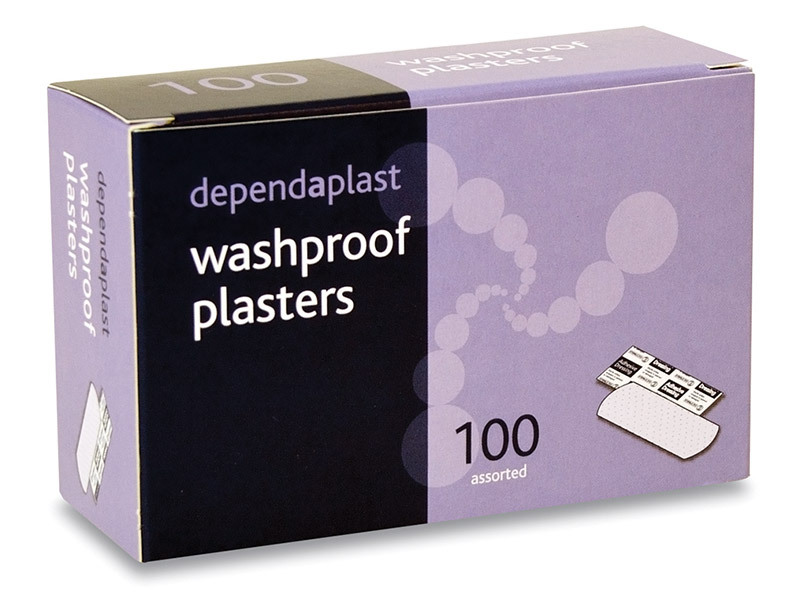 Selection of washproof, fabric and blue plasters. Assorted, sterile and individually wrapped. 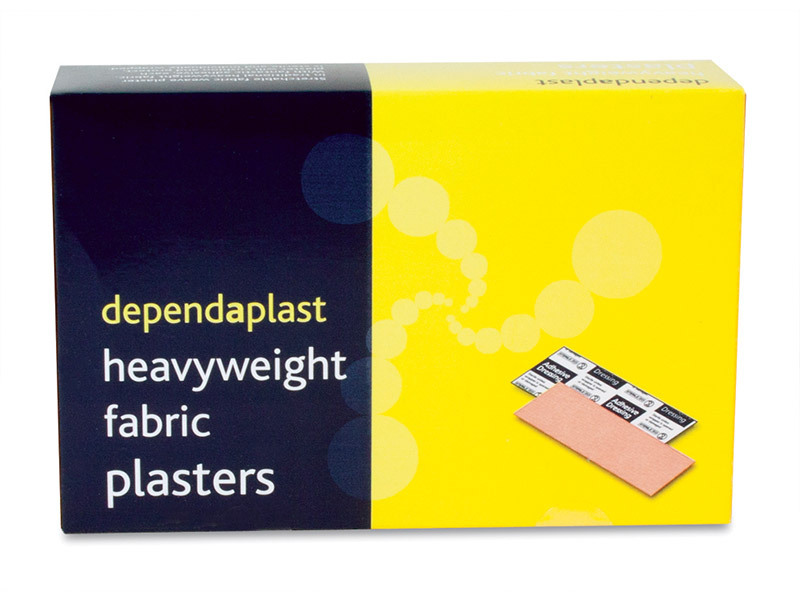 Fabric - Lightweight, stretchable fabric weave plaster in traditional heavyweight fabric. 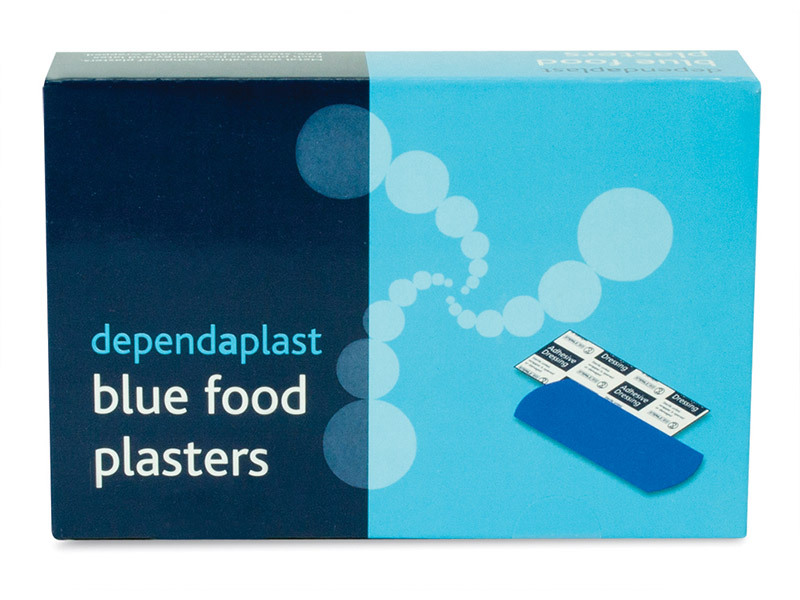 Blue - Metal detectable, washproof plasters. Each plaster is low allergy and latex free. Fabric, Blue or Washproof Pack of 100. Fabric Dressing Strip 1m x 7.5cm.